ICCVB serves as a central source for legislative information and issues affecting the travel industry. The organization's Legislative Committee (see Committees) maintains an eye on the industry so that it can quickly inform the membership about proposed legislation and its potential impact. To help fulfill this role, ICCVB maintains a partnership with Consulting4Biz, Inc. and other organizations. 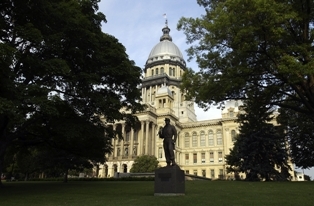 The committee annually plans an industry-wide advocacy event in Springfield to meet with the legislation on the importance and impact of travel and tourism. Additionally, surveys are conducted from time-to-time, and the results are shared with the membership and used by the organization to help shape Illinois legislation that benefits the travel industry. Members will find the following resources to be helpful in their advocacy efforts. Select this link to download a PDF document of municipal tax rate data for a variety of ICCVB member locations. This document was updated in May 2018. If your bureau is not listed, or if you have a correction, please contact our office via e-mail, [email protected]. ICCVB engaged Tourism Economics to conduct an independent analysis of state tourism promotion funding in Illinois and to analyze the potential impacts to the state, and local economies, of hypothetical long-term reductions to state tourism promotion funding, also referred to as destination promotion funding. Select this link to access Tourism Matters and the complete study. 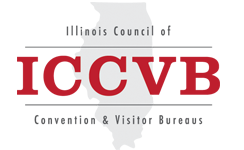 ICCVB provides members and the industry with tools to support tourism funding efforts! Select this link to access Illinois Tourism Funding - Think Outside the Deficit. Visit Choose Chicago Advocacy to visit the website and utilize its resources. For information on your Illinois State Representatives and specific legislation, visit the Illinois General Assembly website. This one-page flyer is an excellent source of information for members who are looking for support on the positive economic impact of tourism in Illinois. It addresses revenue and job generation in a succinct, understandable format. It was originally created to support ICCVB members participating in the Annual Lobby Day in Springfield. Select this link to download this PDF flyer.